Argument and parameter are often seen and used as synonyms. But there is a difference. In Python and many other programming languages, parameters are the comma separated identifiers between the parenthesis following the function name. While arguments are the comma separated list between the parenthesis in a function call. The word function can mean a lot of things. It can be a mathematical function. It can mean the purpose, role or use of a thing: The function of a hammer is to hit nails into a wall or wood. The actions and activities assigned to or required or expected of a person or group; "the function of a lecturer". Function can define a relation, like "Wisdom is a function of age!" The concept of a function is one of the most important ones in mathematics. 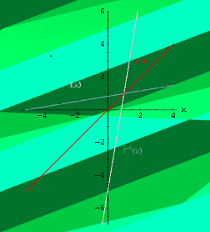 A common usage of functions in computer languages is to implement mathematical functions. Such a function is computing one or more results, which are entirely determined by the parameters passed to it. In the most general sense, a function is a structuring element in programming languages to group a set of statements so they can be utilized more than once in a program. The only way to accomplish this without functions would be to reuse code by copying it and adapt it to its different context. Using functions usually enhances the comprehensibility and quality of the program. It also lowers the cost for development and maintenance of the software. Functions are known under various names in programming languages, e.g. as subroutines, routines, procedures, methods, or subprograms. The parameter list consists of none or more parameters. Parameters are called arguments, if the function is called. The function body consists of indented statements. The function body gets executed every time the function is called. Parameter can be mandatory or optional. The optional parameters (zero or more) must follow the mandatory parameters. Function bodies can contain one or more return statement. They can be situated anywhere in the function body. A return statement ends the execution of the function call and "returns" the result, i.e. the value of the expression following the return keyword, to the caller. If the return statement is without an expression, the special value None is returned. If there is no return statement in the function code, the function ends, when the control flow reaches the end of the function body and the value "None" will be returned.
""" returns the temperature in degrees Fahrenheit """
""" Greets a person """
This statement is called Docstring. Using keyword parameters is an alternative way to make function calls. The definition of the function doesn't change. fibonacci number higher than x"""
Variable names are by default local to the function, in which they get defined. The variable s is ambigious in f(), i.e. in the first print in f() the global s could be used with the value "Python". After this we define a local variable s with the assignment s = "Perl"
We made the variable s global inside of the script on the left side. Therefore anything we do to s inside of the function body of f is done to the global variable s outside of f.
There are many situations in programming, in which the exact number of necessary parameters cannot be determined a-priori. An arbitrary parameter number can be accomplished in Python with so-called tuple references. An asterisk "*" is used in front of the last parameter name to denote it as a tuple reference. This asterisk shouldn't be mistaken with the C syntax, where this notation is connected with pointers. arbitrary number of numerical values """
is cumbersome and above all impossible inside of a program, because list can be of arbitrary length. The solution is easy. We add a star in front of the x, when we call the function. This will "unpack" or singularize the list. In the previous chapter we demonstrated how to pass an arbitrary number of positional parameters to a function. It is also possible to pass an arbitrary number of keyword parameters to a function. To this purpose, we have to use the double asterisk "**"